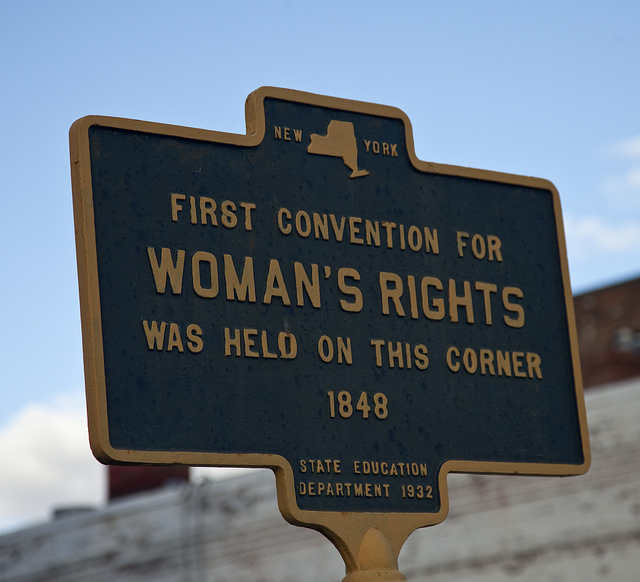 This week, while lots of people are glued to the proceedings of a very different convention, my thoughts are on one that took place in Seneca Falls, New York, on July 19-20, 1848. 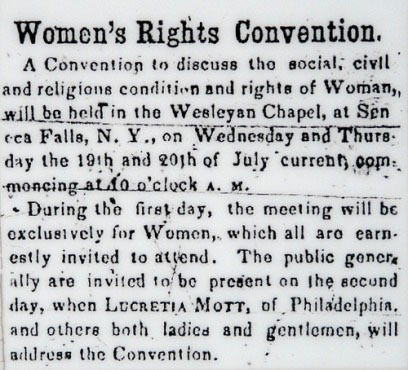 Elizabeth Cady Stanton and Lucretia Mott, two white women who had been involved with the abolitionist movement, planned the convention–the first of its kind to deal exclusively with women’s rights issues–on short notice and weren’t sure how many people would show up. 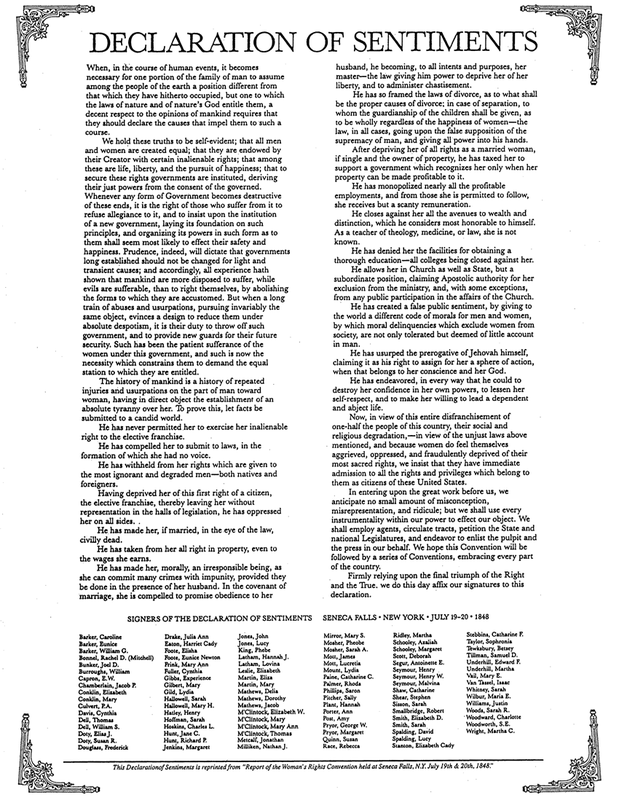 To guide the discussion at the convention, Cady Stanton wrote the Declaration of Sentiments, modeled after the Declaration of Independence. She asserted: “We hold these truths to be self-evident; that all men and women are created equal.” However, “The history of mankind is a history of repeated injuries and usurpations on the part of man toward woman, having in direct object the establishment of an absolute tyranny over her.” Cady Stanton then listed these injuries and usurpations, which included the system of coverture which denied married women standing as individuals before the law, a sexual double standard, and barriers to education and jobs. 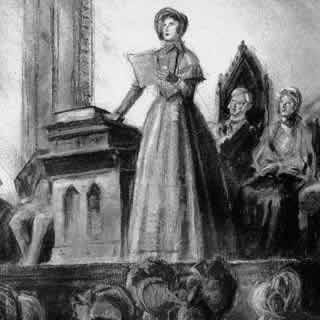 The women and men who assembled at Seneca Falls read the Declaration and debated it. One of Elizabeth Cady Stanton’s central concerns, women’s voting rights, would not be achieved until 1920. The Seneca Falls Convention was daring in its insistence on focusing on issues of gender. It couldn’t solve all of the problems women faced; it couldn’t completely grasp how race, class, and sexuality affected women’s lives. But it provided a starting point, an important step in any movement.